Quinnipiac field hockey has accepted an invitation to join the BIG EAST beginning in 2016, Quinnipiac Athletics announced on Tuesday morning. The Bobcats will join Liberty University in becoming affiliate members of the conference beginning on July 1st. BIG EAST field hockey currently consists of six programs (Georgetown, Old Dominion, Providence, Temple, UConn and Villanova). The league’s membership voted unanimously to add Quinnipiac and Liberty to the conference for the upcoming season. The field hockey program, which will enter its 19th season of NCAA competition in 2016, is set to have a new playing field by 2017, according to the most recent Tier 1 upgrade to sports of emphasis at the university, stemming from Quinnipiac’s Title IX settlement. 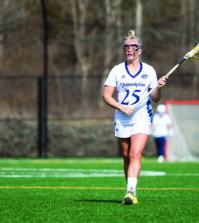 Main added that, given the step up in competition, Quinnipiac will have to improve its strength and stamina to compete. With the step up in competition, however, Main thinks the Bobcats will be exposed to more recruits moving forward. The University of Connecticut (UConn) won the BIG EAST regular season and conference championship this past season. The Huskies, ranked, No. 2 nationally, lost in the national semifinals to Syracuse. Moving forward, Main is optimistic that other Tier 1 sports (men’s lacrosse, women’s lacrosse and women’s soccer) will ascend in conference, as well.